A couple of years back, Welbound Times had addressed a few frequently asked questions (faq) that discussed the benefits as well as misconceptions of three knife trimming. We were surprised to see that, unlike many such articles on perfect binding and folding, this one did not elicit any queries from the readers. We could only fix the blame on the ‘extra ordinarily low density of trimmers in India’. 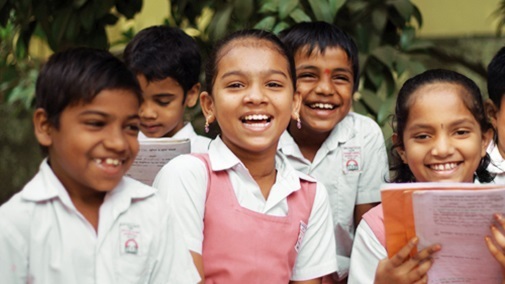 India is currently one of the largest producers of books in the world. Along with the few other oh-I-can’t-believe-it-is-so-low indexes, like per capita paper consumption, if we were to look at number of trimmers per books produced – it will put others to shame. This article is not to delve in to the reasons for such low base of trimmers in India; but to address a few important capabilities and benefits of three knife trimming. These are discussed in the form of a Q&A Before we start the questions, let’s understand the basic advantages of a three knife trimmer in comparison to guillotines, for book production: Much better speeds (almost 3-4 times) in comparison to single knives No wrinkles on spine, specifically on perfect bound books, as the spine is not under pressure during trimming Consistency in book sizes. While this appears to be an obvious advantage, it is highly crucial for the casing of in-line operations. Automated casing in operations without a three knife trimmed book block is a disaster. Operator Safety, as the trimming station is away from him / her. We know that there are many types of three knife trimmers – be it offline, inline, semi automatic, full automatic, hydraulic, mechanical etc. We will need an entire article to discuss these types and their individual benefits. As a user, one need to decide on a specific type based on his requirement on productivity, quality and safety. In certain books, we get a mark/impression at the spine area held by the book clamp / tong. In some other cases, despite adjusting the clamping height, the books tend to slip under the clamp/tong. How do we avoid this? Most of the modern day three knife trimmers have book clamps with adjustable clamping pressure. So even after adjusting the height – so as to hold the books firmly, we will need to minutely adjust the same so that the pressure is not too high or low. For example, books made with high bulk paper may need slightly lesser pressure in comparison. Wrinkles on book spine due to poor clamping In the case of books with laminated /coated covers, the book in the bottom of the pile ends up with its covers damaged/scratched. How can we avoid this? This happens due to the drag generated while the books are transported from feeding station to the trimming station. The trimmer should have book clamps with lower lips that can be lifted up. Once the clamping is done, the book pile is slightly lifted and moved to the trimming station. This avoids any contact (friction) between book cover and the path. Tong of the book clamp, the lower lip of the tong should be adjustable M Suresh is the team leader of Welbound North. He is an application specialist known for his hands-on approach in problem solving. Hot foil stamping One large photo book printer recently contacted me and had several questions in regards to hot-stamping their covers and bound books. Not an easy question to answer. In the age of digital printing, we are dealing with so many new chemicals, coatings and laminating materials. Hot-stamping foil manufacturers have taken these trends into account; and so do the suppliers for laminating foils. Remember: when no conventional laminating foil would stick to digital printed items? But how can you make sure the hot-stamping foil you intend to use or worse, the one your customer requested, will adhere to the substrate? Well, here are some hints from my personal experiences: Are we able to imprint finished, hard cover bound books? Yes, as seen during one of my most interesting tours through three large binderies, where these stamping machines were in operation. The Flesher Corp. equipment did imprint flat pieces of covering materials, vertically and horizontally. They imprinted bound books on the front cover and as a first, for many of us, on the spine as well! Incredible, new technologies! If hot-foil stamping, what materials may be problematic? Have you ever try to count all the different materials used for binding hardcover books? I’m sure you would agree that this is an impossible task. First, we have many different substrates like paper, cloth, synthetic and extruded materials. Within these categories, there are more varieties like resin reinforced papers, woven cloth grades with different finishes, cotton and polyester mixtures, grains etc. Then we have extruded materials sensitive to heat. Add to that coatings, laminating films – you are expecting miracles! The worst to imprint names must be padded vinyl covers! You assume that all those items can easily be hot-stamped with a single foil? If you have the true answers for all those variables, then you deserve a PhD. in hardcover binding and become a “Book-doctor!” The very best way to test Although we will discuss chemical testing procedures, the best tests are still conducting tests with actual samples. At least, this is what I used to do during the many years while working as a sample maker. In a large book manufacturing facility, I was responsible for and furnishing all technical details and measurements for binding. One of those tasks was to pre-test all materials to be hot-stamped, so that we will encounter no problems in the actual production. Just imagine: you blindly follow a book designer’s wishes and purchased large quantities of hot-stamping foils. Then in the actual production run, you find out that they do not work! Guess who will get the blame? It’s of course always the bookbinder! What is a Dyne Pen Test? If you suspect a potential problem, you can always conduct a so-called Dyne Pen test. This is simply testing the surface energy, necessary for UV coated and laminated substrates. These days, printers use many different coatings, matte varnish, gloss varnish, aqueous coatings and yes, several different kinds of film laminates. Printers not always do communicate certain finishing coatings and expect binders to process their particular covering material “as is.” With a Dyne test, we will be able to measure the pores in the surface of a particular coating or foil laminate. This will give us an assurance if a particular ink or a hot-stamping foil will adhere. The test is performed using a series of specifically numbered and formulated pens. The liquid in the pens do measure the ‘dyne’ count of the surface. It is an easy process. Take one of the numbered Dyne pens and draw a line across the surface until the line ‘beads.’ At that point, you will know that the dyne count of the surface is the last line tested before the liquid from the pen beads. A Dyne count of 38 or higher is required for a hot-stamping foil to adhere to the surface. Using this process, you can also test foils, especially critical if you have to over-stamp. For example on Law books, a title in gold over a red panel. Dyne pens Is this test good enough? There are arguments that a Dyne test with a pen alone is not enough. These opponents recommend further testing using contact angles, corona treatments and or flame treatments. But talking to hot-stamping experts and my personal experiences in this regard, we found the Dyne pen tests to be sufficient. The other tests are mainly valuable for those who are printing onto film materials like PTFE-Teflon, Polypropylene (PP), Polyethylene (PE) or Polyester (PET). In other words, some of their surfaces need to be modified to be made “process-able.” In our industry, those surfaces most likely have already been modified. As stated, a simple Dyne test will do the trick and make your hot-stamping project a success. What should we do if the foil still does not adhere? Always call your foil supplier and ask for technical assistance. Foils are constructed with all kinds of different adhesives (size). A coated paper-like substrate may stamp easily, an extruded, plastic like material may reject the same foil. That is why foil suppliers have different formulations. All that, the foil representative has to do, is to look-up a chart, matching materials to be hot-stamped with an appropriate foil. Again, I hope you do realise, the importance of conducting tests in advance. Finally, you tried in vain, hot-stamping onto genuine leather and the coverage is not satisfactory. Well, here is another one of the authors tricks – use a foil that is made for edge gilding, it has double the sizing on the back and will do the job. That is what bookbinding is all about, knowing how to successfully cope with virtually every task and those can be many! Welbound Times is an excellent source to share binding related experiences. To a novice, this topic seems to be a simple task. Take some covering material, two boards and an inlay strip. Apply an adhesive onto the covering material. Place the boards and inlay into an exact position, turn-in all four edges and the case for a hardcover binding is finished. Yes, this sounds simple but there is much more to it. Perhaps the most difficult task to accomplish is the right fit. This alone would justify an article. While being employed in the industry before the age of computers, this writer had to specify the dimensions for all kinds of book cases. These included edition bindings, side-sewn textbooks, limp style, flexible Bible covers, padded covers and many others. In short, a very complex task. Unlike yesterdays production, binders now must be set-up for short-runs. Each book cover maybe different. Zero set-up and automation is the key for efficient productivity During Drupa 2008, Kolbus did show us a new linear casemaking machine which produced 100 book cases a minute. Impressive and amazing technology. The engineers who now head an all-new casemaking machinery enterprise near this writer's home in New Hampshire, GP2 Technology, have produced in the past (20+ years ago) an American case making machine that did cycle at 120 book cases a minute! As the industry changed, they founded an all new company and now concentrate on the short-run, on-demand and photo book markets. Best of all, they have come up with some unique case-making machinery designs. During the last two Drupa's, they were recognized by bookbinding experts from all over the World. Let us now discuss in short some of the various kinds of book cases. Edition Binding The majority of these cases are produced at relative high speeds on automatic case making machines. There are reciprocal double head, and linear designs. The covering materials are fed automatically and receive a very thin, high quality protein glue. The two boards and the inlay must be appropriately spaced, all in accordance to the method of binding used. An adhesive bound book block requires slightly more space in the joints than a sewn binding. This is to absorb the forces exerted onto the first and last relative fragile leaves. A square back hardcover binding with a board strip as an inlay requires almost double the space in the joint/hinge areas. Children books mostly feature a board strip on the spine. Many case making machines have a feature, where we feed a single piece of board and then slit it into two panels and a spine strip. Some board suppliers offer pre-assembled board structures called “Unitized Boards.” These are pre-assembled components of boards, often reinforced with a gauze in the joint areas. Another popular task in case making are the so-called three-piece covers where we have different materials on the spine and panels. There are many different options available to produce such covers. Some linear case making machines take the covering materials off a roll. The web receives a thin coat of adhesive. The three different rolls are combined. The cover boards and the inlay are placed-down onto the continuous web. The corners are cut, the sides are turned-in. The last procedure is to cut the web and turn-in head and tail. On-Demand and Photo Book 40 years ago, when large quantities were the norm, we, as a highly specialized book manufacturer for reprints and short runs sometimes had to produce only 150 books. We, had to use some ingenuity to cope with such small editions, as each one of the covers were using different covering materials. (Printed cover materials were virtually unknown) We did sort the orders by trim size. Changing the dimension of the case making machine only in the width saved a lot of change-over time. How times have changed! Now we must be able to produce book cases, one at a time, each being different in size and most important, this tasks must be done in an efficient manner. The most simple versions for case making offer a glue applicator, a jig, a turn-in device and rubber rollers to press assembled cases. This is still considered “assisted” handwork and productivity is accordingly. The next step up toward automation with zero set-up requirements is the GP2 Technology program which offers basically three case making machines. www.gp2tech.com Library corners At Drupa, they introduced a new cost effective model called the EC-3 which was most successfully received by small On-Demand and Photo Book establishments. “Just the right thing as the doctor ordered” said one of my colleagues. The SC-2 Autocase received further improvements and represents the latest generation of leading technology for “one off” and on-demand casemaking. Prior to Drupa 2004, this writer, being so close to the factory, had information on GP2's top model, the Autocase AC 20. GP2 Technology is also a leader with library corners. For those readers not familiar with it, the corners of the covering material are not cut, they are first turned-in. Thereafter, the edges are turned-in. This results into a slightly rounded corner. Librarians insist on such a technique as they believe, such corners offer better abrasion resistance. There are of course, as stated earlier, many other cover structures such as flexible covers or some new, economical case making techniques where no boards are used. We will cover those in a future article. we discussed in an past article, how to calculate the board sizes and width of inlay strip and cover dimensions for square back books. Now let us look at, how we can calculate the cover dimensions for hardcover books that are rounded or rounded and backed. Rounded and Backed book blocks are more difficult to calculate. The bindings always required making sample books—a labour intensive and expensive task. There is a mathematical solution to figure out the exact cover dimensions, even if the paper is not yet available. All we need from the publisher’s production managers are the trim-size, the type of paper used, the number of pages (and the PPI), and the style of hardcover binding. We are almost ready to calculate. But now you ask, how in the world can you determine the distance over the rounded and backed spine? 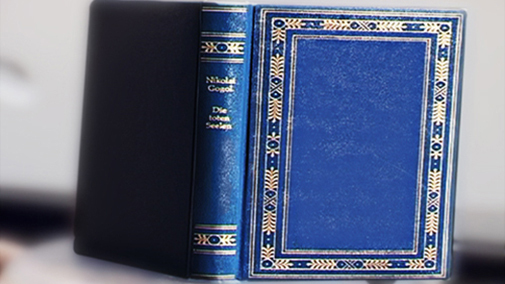 After all, the width of the flexible inlay is a most important item to achieve a quality hardcover binding. Well, there is a trick to it. You must establish a chart. In my case, during a slow period, I bound 20+ Smyth-sewn book blocks. They all had the same trim size. The only variations were the bulk. I started with a ¼ inch thick book, the next having a 3/8 inch bulk – all the way up to 3 inches. Then I rounded and backed the book blocks the way they should look like in production. That required some craftsmanship. When I had all book blocks ready, with a paper strip over the spine, I took careful measurements. That established the exact distance from the heights of the backed ridges on each side and the rounded spine. That data was translated into increments of one thousandths of an inch. For example, a book block with a bulk of 13/16 inch measured when rounded only .95 inches, after rounding and backing it showed 1.18. That 1.18 equals roughly 1 3/16 inches for the width of the inlay. With this chart, it was possible to establish any cover dimension in a minute or two. Bear in mind, this was all done long before we had computers available. These days, once programmed, a cover size function is a matter of seconds. Best of all, if a Q.C. manager evaluates the finished bindings, some minor adjustments can always easily be made. Now let us go back to our examples and calculate the requirement for a hardcover binding with a trim size of 6" x 9" and a bulk of 13/16 inch. Board size 5 7/8" X 9 1/4" Joint area Inlay Joint area 1/4" plus 1 3/16" plus 1/4" + Board size 5 7/8" = Cover size 13 7/16" X 9 1/4" + Turn-ins (all four sides) 5/8" plus 5/8" 5/8" plus 5/8" Cover stock dimensions 14 11/16" x 10 ½" For heavy covering materials, allow a little more for the turn-ins. The measurements used above are for Smyth-sewn book blocks. Adhesive bound books do not and should not be backed as much. Therefore deduct 1/16" of the width of the inlay, shorten the boards and increase the joints to 5/16". Again, all such data is most valuable to get a useful cover size program started. With minor adjustments made in time, it is perhaps one of a most useful tool for anyone who must produce quality hardcover bindings. No matter what binding style you may produce, such a program is now even more important than ever. These days, most of the covering materials used are printed. The placements of the images are most often very critical. That is just one more reason why book covers must be calculated with an utmost precision, no matter if you are an edition, on-demand or photo book binding facility. Book block making is a complex operation. And it does not get the credit it deserves. The "hard case" hogs the limelight for a well bound hard cover book. Let us examine a few of operations involved in book block making: Book block making is a complex operation. And it does not get the credit it deserves. The "hard case" hogs the limelight for a well bound hard cover book. Let us examine a few of operations involved in book block making: Gluing-off or first gluing The object of this operation is to seal the sewn sections together. This forms a firm - and "roundable" book block. The adhesive chosen should have properties discussed below: It should have low-viscosity with high solids content. The low viscosity will allow the adhesive to 'flow in' between the signatures. The high solids content will prevent the flow up the sewing holes. If the spine is to be rounded, then the adhesive should have the property to retain the shape. Compatibility with the lining adhesive (check the type of adhesive to be used). It is not possible to use an emulsion for gluing-off and then apply a hotmelt for lining. In such a case one should have a paper membrane between the two or very specially adapted machinery. The adhesive should come off easily from the brushes while they are cleaned after the application. It should be such that the book blocks do not stick to each other when stacked one on top of the other. Problem area A too-heavy coating can cause the adhesive to split The main cause of problems is the application of excess adhesive. This means that the film thickness and tenacity are stronger than the coating on some papers. This also means they cannot be rounded. A too heavy coating can cause adhesive to split. The emulsion should form a thin skin over the folds or bolts of the signatures and not a solid wedge of adhesive from one signature to the next. The gluing-off emulsion chosen should be tested taking into consideration the next operation. For flat-back work, a firmer spine is desirable. If rounding and backing is to follow, then the adhesive should have more flexibility and have better "forming" characteristics. Caution Gluing-off emulsion can flow through the holes made for thread sewing. This happens mostly in cases where the paper is hard. One can do a smashing in order to close the punch and holes The next process in the book block making is lining. You can have single, double or triple lining using a wide range of adhesives. Single lining with emulsion The lining of book blocks generally uses emulsion adhesives. The following parameters decide the choice of adhesive: Type of application Drying process Subsequent bindery operation In some machines, the adhesive has to be first pumped up to a feeder tank before it flows down an application tube. In such applications, the adhesive must be "pump-stable" and have an acceptable flow. If a product is not pump-stable and breaks down then the flow could be too great and the adhesive would flow too far between the signatures and certainly into any sew holes. Conversely, if it thickens then this will cause adhesive starvation. Lining machines with roller applicators applying the emulsion to the spine of the book and to the liner require a high tack adhesive. Otherwise, the lining material can come off during the cutting operation. Some times the spine swells, as the lining moves with the applied pressure. When RF (Radio Frequency) / HF assisted drying is used, the choice of emulsion is critical. Here the vibration of the molecules creates so much heat that there could be a drop in "tack" in case of an ordinary emulsion. Therefore, the emulsion used should resist such a drop. It should not have the tendency to swell, as this will result in an unsatisfactory spine. A temperature of 60-70 degree centigrade is often registered as a book emerges from the RF- HF tunnel. This will have to be reduced to 23 to 25 degree centigrade before the book enters the three-knife trimmers. Book blocks that have to be rounded subsequently should have a flexible but firm emulsion and a stretchable lining material. Hotmelt Single Lining Hotmelt single lining is proving to be very successful, especially if large punch and needle holes cannot be sealed before the lining operation. It also offers a greater amount of insurance if coated or heavily inked areas are observed on the signature folds. The lining material should have a good stretchability. In fact it is seen that a hotmelt that is preheated before rounding holds shape better as it chills in the moulded form. The over-application of hotmelt is not recommended as this makes the rounding difficult. Roundablehotmelts with a good stretch and very low shrink-back are now being used in this operation. Care must be taken when setting the liner nip station. This is because insufficient spine pressure will result in bubbles appearing after trimming operation. A J (Tony) Clark has an enormous reputation in the bookbinding industry. Most of his working life was spent at National Starch & Chemical, from which he retired in 1996. He works now as an independent consultant. Moisture content At the paper mills, all paperboards are carefully fine-tuned to their required moisture content. The pallets are shrink-wrapped to retain that balance as good as possible. Most often, mills furnish instructions about how to handle board shipments. However, a board manufacturer has no means to control the environment at a bindery or at the end user's place. Board warpage Often such paper products are stored in unheated warehouses or in tropical climates, in places with high humidity etc. During winters, like the ones experienced in the US and Canada, the relative humidity is low. Paperboards, as well as all other materials used for the final assembly should be adjusted to ambient conditions, that is equal moisture contents prior to be bonded. This aids a return to the pre-bonded conditions following drying and curing of the finished products. Now you may ask, what is the best moisture content, what are the best conditions for storage? One of the best answers may be an advanced study made by the late Professor Eric Simon, who taught Offset Printing Technologies at one of Germany’s most prestigious universities, the Fachhochschule in Stuttgart. Together with his graduate students, he conducted extensive research on the stability of paper fibres, which is most critical to the printing process. This study found that the ideal moisture content of paper and paper boards are between 7 to 8 percent. The paper fibres are most stable in an environment with a relative humidity of 40 to 50 percent. This is the same percentage that is recommended by the US Governments Library of Congress. They have done extensive studies on the most ideal storage conditions for books and other printed materials. But there are other factors we must consider. All board warping problems seem to surface during winters. One must wonder why? With this basic educational session on paper, board, moisture and conditions, we are now able to discuss this topic, in-depth. Another question that often crops up from publishers is, what will happen to the finished books if they are stored in an un-heated warehouse? The cold will not damage the books. But, when the temperature rise above freezing point, there will be excessive moisture and this will damage the books. Therefore, it is most important, that they control the relative humidity. Warping of the boards has very little to do in this regard. Balancing the forces is the trick to control paper boards from warping. Book cover components Book cover is a sandwich, which consists of: 1. Cover materials – printed papers, UV coated, laminated, cloth etc. 2. Case making adhesive – animal glue, PVA, on rare occasions, hotmelt 3. Cover Boards – various qualities and thicknesses 4. Casing-in adhesive - PVA and PVA/Paste mixtures 5. Endsheets, lining materials All five components must complement each other. The board is the centre. If too much case-making adhesive is applied, the boards will react as discussed in the last issue. If the casing-in adhesive allows the paper to expand more than it should, it will pull the cover inwards. If moisture is unable to “wet” the endsheets and let them expand, they are unable to shrink and pull the covers inwards. If the adhesives lack the necessary humectants to keep the moisture in this sandwich, we have a problem, again. In short, it is a difficult balancing act, especially if the products must endure various climates, dry and moist environment. Bookcover sandwich What causes warp? A paperboard manufacturer's explanation is that in the normal course of the bookmaking process, cover boards are subjected to varying temperature and humidity conditions. The more dimensionally-stable the cover board is, the more capable the board will be adapting to these conditions, that is returning to its desired dimensions after the expansion or contraction that occur. Warp happens when a cover board is unable to do so. These are the words of one of the world’s largest board manufacturers. But there are other opinions. John Cole, a well-known expert on paperboard manufacture has stated: Warpage is less likely to be caused by the board itself. “We have traced part of the problem to cover materials, but we do not understand the mechanics of the problem.” And so, it looks like board warping is a bookbinder’s problem! Gerald P Mielke is a bookbinding adhesive chemist and in the past, chaired an in-depth study on book cover warping. This being a project for BMI, the Book Manufacturer’s Institute. In his conclusion, he stated that the overwhelming cause of a cover warp is being caused by moisture which is absorbed or released and with the resulting expansion or contraction of the materials which compromise the book cover. Unbalanced expansion or contraction of any of these components relative to each other or within themselves may manifest itself as a warp. Mielke stated that moisture vapour barrier coatings or laminations on covering materials, even cover materials impervious to moisture, can interfere with distribution of moisture in the rest of the sandwich which in turn compromises the cover. He goes on to say that warping has tended to be more of a dry season occurrence, which makes the problem more apparent in the wintertime than in the summertime. With cold outside air, which at best holds very little moisture, when it is warmed, dropping the relative humidity and with it, creating very dry conditions. The drier conditions can cause uneven drying in the finished cover. This can contribute to the warping problem. It can also dry out some of the materials going into the sandwich compromising the cover, which makes them react more strongly in the presence of moisture provided by the adhesives to laminate the sandwich together. Other important factors to consider My personal experiences also centre on dry book blocks created by heatset web offset and digital printing. A low moisture content in the book block will play havoc with carefully manufactured book covers and boards. This is a recent problem. More so, since we see more and more book manufacturer’s utilising digital web-printing concepts which result in dry or low moisture book blocks. Let me share with you a personal experience. Back in the 1970’s, being in charge of the world’s first fully automated in-line book-manufacturing system, we tried to produce 70 hardcover bound books a minute, web-printing and hardcover binding books off a 38 inch mill-roll of paper. The low moisture in the book block made the quality paper boards warp! Eventually, that in-line system had to be pulled apart. The point is, paper, after heatset printing, needs time to recover. (Best is 72 hours) Only by de-warping the book covers twice in each direction were we able to control the amount of book cover warping, that is we learned, despite of all the obstacles to keep them flat. Yes, John Cole was right, book cover warping is a bookbinders problem. And they must be kept in control. This is an interesting experience, especially now, in the digital age of printing and the “instant” book which must be shipped within a day. It is deja vu. Hardcover book cases Are you sure they fit? Board warpage Board warping problems, which most of the time occur in the winter, arrive at our book-testing laboratory from all over the world. The purpose of this article is to furnish you with some basic information on why such problems do occur. Mirror, mirror on the wall, who has the biggest warp of them all? A Primer on paper and paper boards When paper or paperboards are made, approx. 70 to 80 percent of the fibres float in the machine direction (MD). Paper fibres are hygroscopic. They pick up water when the moisture is high, they lose water when the percentage of moisture is low. Paper fibres expand 4 to 5 times more in their width than they do in their length. Therefore, one must make sure that all cover-materials, boards, endpapers have the grain parallel to the binding edge. How paper and paperboards do react to moisture in an ever changing environment, is shown in the adjacent figure: Are there guarantees against paperboard warping? Fibre expansion What are the basics of a paperboard? All paperboard manufacturers rely on paper-waste which, being a re-cycled product, is hard to control for consistency. Some use newsprint, others magazine papers etc. For example, a high amount of corrugated box content attracts more moisture, whereas groundwood or thermo-mechanical furnish, i.e. soft fibres, respond to less moisture. In addition, papers and boards with short fibres tend to saturate more rapidly and therefore expand and contract more quickly. Long fibred stocks are more stable in this respect and in certain instances, it is possible to exercise considerable control, a factor every mill tries to achieve in a best possible manner. Unfortunately, with today's trends toward recycling, we must cope with shorter fibres. This is also true for the printed papers used as covering materials. There are many different techniques being used to manufacture paper boards. Most important for them is to manufacture a paperboard product that is dimensionally stable. Some structures promise to offer more stability than others. That maybe true, but despite those claims made by some paperboard manufacturers, this bookbinding expert has experienced and analyzed warping problems on all brands and qualities of paper boards made. I have never come across a single warping incident where, at least in my opinion, where the paper boards were at fault. How moisture or an adhesive application affects papers and boards The most fundamental relationship in a print-finishing process does lie in the reaction of papers, boards etc. on each other in the presence of water-based adhesives, that is animal or protein glues, cold-emulsion PVA's, starches etc. To understand these effects fully, it is essential to have a good understanding of the construction of the fibrous materials and how they react to moisture during the drying and manufacturing processes. These factors greatly influence the performances of the finished products in the ever changing climatic environments. Example, books made in Asia during the summer in high humidity, then transported to a bookstore in Minnesota, where, during the winter, the air is very dry. Paper and paperboards are all based on cellulose fibres, which have a tubular shape. Given the opportunity, these will absorb water by capillary action and as a result, the individual fibres will considerably increase in their diameter, but gain only a fraction in the fibres lying in a more or less parallel direction. As each of the fibres expands in its diameter, expansion will occur. The expansion is across the machine direction. Now, if a binder applies a water-based adhesive onto one side of a paper-board, this will cause the fibres on the surface to expand rapidly. All this does happen, because there is a time lapse before the moisture has penetrated evenly through the board. Therefore, and that is important, expansion will initially be uneven and a curl will be induced into the paperboard. If the same amount of moisture is applied to the other side, the board will flatten out. The following schematics are self-explanatory: The interplay between moisture and paperboards Now, try to solve a problem sent to our laboratory. A manufacturer produced puzzle boards. They mounted a color printed sheet only onto one side of the board and then they did wonder why the boards warped! Now, as a consultant and the necessary knowledge of the forces at work, you can give them the following advice: “In order to make a board to lie flat, one must mount identical papers onto both sides, same grain direction, same amount of adhesive!”. Timing is critical as well. As you can see for yourself, it is a relative simple solution! Just try to understand Mother nature at work. Moisture content At the paper mills, all paperboards are carefully fine-tuned to their required moisture content. The pallets are shrink-wrapped to retain that balance as good as possible. Most often, mills furnish instructions about how to handle board shipments. However, a board manufacturer has no means to control the environment at a bindery or at the end user's place. Often such paper products are stored in unheated warehouses or in tropical climates, in places with high humidity etc. During winters, like the ones experienced in the US and Canada, the relative humidity is low. Paperboards, as well as all other materials used for the final assembly should be adjusted to ambient conditions, that is equal moisture contents prior to be bonded. This aids a return to the pre-bonded conditions following drying and curing of the finished products. Now you may ask, what is the best moisture content, what are the best conditions for storage? One of the best answers may be an advanced study made by the late Professor Eric Simon, who taught Offset Printing Technologies at one of Germany’s most prestigious universities, the Fachhochschule in Stuttgart. Together with his graduate students, he conducted extensive research on the stability of paper fibres, which is most critical to the printing process. This study found that the ideal moisture content of paper and paper boards are between 7 to 8 percent. The paper fibres are most stable in an environment with a relative humidity of 40 to 50 percent. This is the same percentage that is recommended by the US Governments Library of Congress. They have done extensive studies on the most ideal storage conditions for books and other printed materials. But there are other factors we must consider. All board warping problems seem to surface during winters. One must wonder why? With this basic educational session on paper, board, moisture and conditions, we are now able to discuss this topic, in-depth. Another question that often crops up from publishers is, what will happen to the finished books if they are stored in an un-heated warehouse? The cold will not damage the books. But, when the temperature rise above freezing point, there will be excessive moisture and this will damage the books. Therefore, it is most important, that they control the relative humidity. Warping of the boards has very little to do in this regard. Balancing the forces is the trick to control paper boards from warping. Book cover components Book cover is a sandwich, which consists of: Cover materials – printed papers, UV coated, laminated, cloth etc. Case making adhesive – animal glue, PVA, on rare occasions, hotmelt Cover Boards – various qualities and thicknesses Casing-in adhesive - PVA and PVA/Paste mixtures Endsheets, lining materials All five components must complement each other. The board is the centre. If too much case-making adhesive is applied, the boards will react as discussed in the last issue. If the casing-in adhesive allows the paper to expand more than it should, it will pull the cover inwards. If moisture is unable to “wet” the endsheets and let them expand, they are unable to shrink and pull the covers inwards. If the adhesives lack the necessary humectants to keep the moisture in this sandwich, we have a problem, again. In short, it is a difficult balancing act, especially if the products must endure various climates, dry and moist environment. Book cover sandwich What causes warp? A paperboard manufacturer's explanation is that in the normal course of the bookmaking process, cover boards are subjected to varying temperature and humidity conditions. The more dimensionally-stable the cover board is, the more capable the board will be adapting to these conditions, that is returning to its desired dimensions after the expansion or contraction that occur. Warp happens when a cover board is unable to do so. These are the words of one of the world’s largest board manufacturers. But there are other opinions. John Cole, a well-known expert on paperboard manufacture has stated: Warpage is less likely to be caused by the board itself. “We have traced part of the problem to cover materials, but we do not understand the mechanics of the problem.” And so, it looks like board warping is a bookbinder’s problem! Gerald P Mielke is a bookbinding adhesive chemist and in the past, chaired an in-depth study on book cover warping. This being a project for BMI, the Book Manufacturer’s Institute. In his conclusion, he stated that the overwhelming cause of a cover warp is being caused by moisture which is absorbed or released and with the resulting expansion or contraction of the materials which compromise the book cover. Unbalanced expansion or contraction of any of these components relative to each other or within themselves may manifest itself as a warp. Mielke stated that moisture vapour barrier coatings or laminations on covering materials, even cover materials impervious to moisture, can interfere with distribution of moisture in the rest of the sandwich which in turn compromises the cover. He goes on to say that warping has tended to be more of a dry season occurrence, which makes the problem more apparent in the wintertime than in the summertime. With cold outside air, which at best holds very little moisture, when it is warmed, dropping the relative humidity and with it, creating very dry conditions. The drier conditions can cause uneven drying in the finished cover. This can contribute to the warping problem. It can also dry out some of the materials going into the sandwich compromising the cover, which makes them react more strongly in the presence of moisture provided by the adhesives to laminate the sandwich together. Other important factors to consider My personal experiences also centre on dry book blocks created by heatset web offset and digital printing. A low moisture content in the book block will play havoc with carefully manufactured book covers and boards. This is a recent problem. More so, since we see more and more book manufacturer’s utilising digital web-printing concepts which result in dry or low moisture book blocks. Let me share with you a personal experience. Back in the 1970’s, being in charge of the world’s first fully automated in-line book-manufacturing system, we tried to produce 70 hardcover bound books a minute, web-printing and hardcover binding books off a 38 inch mill-roll of paper. The low moisture in the book block made the quality paper boards warp! Eventually, that in-line system had to be pulled apart. The point is, paper, after heatset printing, needs time to recover. (Best is 72 hours) Only by de-warping the book covers twice in each direction were we able to control the amount of book cover warping, that is we learned, despite of all the obstacles to keep them flat. Yes, John Cole was right, book cover warping is a bookbinders problem. And they must be kept in control. This is an interesting experience, especially now, in the digital age of printing and the “instant” book which must be shipped within a day. It is deja vu. Polyurethane reactive hotmelts are synthetic polymers which are therrmoset in nature. When heated to their application temperature they react with the moisture and bond with the surface. After solidification they cannot become liquid again i.e. they are irreversible as compared to conventional hotmelts. Advantages of PUR HMA over conventional HMA Application temperature for PUR ranges from 85–140°c which is lower as compared to conventional HMA that ranges between 160°-180°c. This means that energy is saved, set-up time is less and wrinkling of spine is reduced since less moisture is absorbed from the book. The unique property that gives PUR hotmelt adhesives their performance advantage is that they cure to thermoset material that resist melting. This curing process is the reaction with moisture found in the air or in the substrate to produce a strong tough temperature resistant adhesive. PUR HMA possess very high degree of cold crack and heat resistance PUR HMA provides high degree of flexibility. Therefore one can produce lay flat books with thicker substrates, as well as books in which the grain direction is not parallel to the spine. PUR is resistant to solvent therefore you can use them with books which have inks or coatings that bleed into the spine PUR HMA bonding is a chemical reaction and not a purely surface phenomenon therefore it does not rely on fibre content of the substrate. PUR can be used on substrates with high filler content and thicker coatings Applications of PUR Moisture is an important component for use of PUR HMA. Therefore maintaining atmospheric conditions around the perfect binder is essential for good binding. Also contrary to conventional HMA, PUR cures faster on humid days. It is important to know what press was used to print the book forms. If heatset web offset processed printed jobs arrive at the bindery they should be unpacked and left for sometime to acclimatise and retain moisture. PUR bound books used to have a longer curing time of around 24 hours , so they had to be left exposed to natural air. This has improved greatly with the new generation PURs that can cure under 4 hours, subject to sufficient moisture content during curing. PUR HMA cannot be left exposed to moisture for longer time. Therefore they are applied through an enclosed system with the help of slot coaters the slots can be opened or closed according to the width of the spine. It can be used to apply PUR on the spine of the book block or cover material. Henkel has formulated a grade of PUR hotmelt which is in granule form and can be used in a conventional glue tank with a few modifications to the tank and rollers. The glue tank and rollers are Teflon coated for easy cleaning. The glue tank is made smaller since the adhesives are put in to the tank has to be completely consumed and the remnants had to be thrown away. By using the system one can get used to PUR technology and application before buying expensive equipment . Typical application of PUR include museum quality art books, coffee table books and frequently used library reference material. This is because PUR gives stronger binding than traditionally smyth sewn books. In continents like Asia and Africa, where the temperatures can soar, PUR is a definite insurance against books falling apart. PUR (Polyurethane Reactive) adhesives have been in bookbinding, primarily since 1989. The first test in North America was run on the west coast using a homemade application system. Since then, the use of PUR has increased dramatically. In 1995, it was reported that there were 28 users of PUR, and by the end of 2010 this number has increased to 100+ users in North America. Advantages of PUR over standard EVA hotmelts PUR has been chosen over standard hotmelt adhesives for many reasons—with superior adhesion and layflat, being the most important ones. Adhesion: PUR is unique in that it will bond to lacquer coatings, UV cured coatings, films such as mylar, as well as clay coated paper. Excellent Layflat: Films of PUR, when applied at the recommended thickness, are considerably more flexible than standard EVA hotmelts. PUR is suggested to be applied at 0.25-0.3 mm because it is twice as strong as standard EVA hotmelts. While the adhesion and layflat qualities are very important in the use of PUR, there are many other qualities that provide benefits for the bookbinder. Heat and Cold Resistance: Once the PUR adhesive has cross-linked, books bound by these adhesives will not fail at extreme temperatures over 1000C and below -400C. These properties were especially important to a binder in the US who sent books to both the Sahara Desert region as well as areas in Siberia. Since turning from hotmelt to PUR, this binder’s adhesive related complaints have been eliminated. Less Wrinkling of Backbone: Binding cross-grained paper with standard hotmelt adhesives causes considerable wrinkling in the gutter area of the book. The lower operating temperature of PUR does not drive the moisture in the paper away from the backbone, the way normal hotmelt does. PUR is also somewhat malleable as it cures, allowing the paper fibres to return to their original orientation. Less “Chip-out”: Since PUR is applied at a low temperature and since it is applied at half the standard thickness of hotmelt, there is much less chance for the material to build up on the trimmer knives and nick the cover material during trimming. Square Backbone: The amount of PUR applied is considerably less than standard hotmelt, therefore less material is available to be squeezed out when the cover station and side nipping attach the cover and form the back. Solvent Resistance: According to Werner Rebsamen’s article “Insidious Solvents” (WB Times, Aug-Sept 2005), PUR is the only binding material today that is totally resistant to solvents and oils. Samples of the cured PUR adhesive have been immersed in oils and solvents, such as MEK and alcohol, that are used in the printing industry and these chemicals have had no effect on the PUR film. Standard hotmelt films are softened drastically and even dissolved by some of these chemicals. Then there are some additional benefits: Cost savings vs. Smythe Sewing: For many years the standard of the industry to produce rounded, hard cover books was to use Smythe sewing and glue the sewn books with a flexible liquid adhesive prior to rounding. A study in Europe has shown that savings of 30%-40% in cost can be realised by milling off the backbone of the folded signatures and then gluing them off with PUR. Roundability and Round Retention: Many hard cover books are rounded and backed to provide both aesthetics as well as strength to the final book. By gluing off the book block with PUR, followed by in-line rounding and backing, a significantly greater round can be obtained. As the PUR cures with the book in the rounded state, the retention of the round will be maximised. There will be no “memory” as is found when rounding books that have been glued off with standard hotmelts. Application Equipment Due to the nature of PUR, special precautions must be taken in order to prevent premature cross-linking and to facilitate clean up of the PUR. Both open pot systems and closed extrusion systems have been developed since 1989 to specifically deal with these special needs. Open Pot Systems: Initially, an open pot designed specifically for PUR was produced by commercial printing in Medford, Oregon. It was on a Muller Martini Star Plus binder. In order to take advantage of PUR, some of the binders on the west coast adopted this application technique. Closed Extrusion Systems: The initial closed extrusion system consisted of a premelter, a holding tank, and recirculation hoses feeding the application head. This technology had limited success in the US. A number of years were spent attempting to improve this system. The latest extrusion systems from Nordson Corporation and Robatech, Switzerland have made the application of PUR adhesives relatively simpler. Concerns One of the major concerns for the use of PUR is the price of the material. While the price of PUR is about 3-4 times that of standard hotmelts, the application amount is generally half or less than the amount of hotmelt normally applied. (Welbound has developed a price comparison calculator for PUR v/s Conventional EVA HMA. 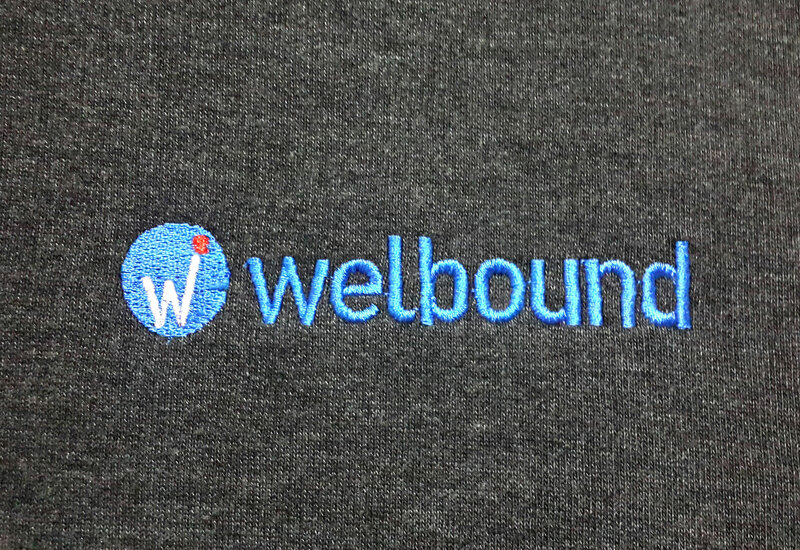 Please send a mail to welbound@gmail.com, for a free copy). As one plant manager put it “a small increase in cost, more than justifies the use of PUR and I can sleep at night, knowing that the job will not be rejected.” Many users of PUR have found that switching back and forth from PUR to hotmelt is not justified because of this small difference in cost. In addition, operators become much more familiar with the machine settings and are able to maintain the low application levels when PUR is used exclusively. Another concern involves the emission of MDI, one of the ingredients used to make PUR. The MDI is present in very small concentrations (parts per billion) and newer generations have cut the levels in half. Then there is the length of time it takes the PUR to cure so the books can be trimmed and shipped. PUR was first introduced into the United States bookbinding industry by the erstwhile National Adhesives (now a part of Henkel International) in 1989. The first generation of PUR, while it could be trimmed inline, needed almost 24 hours before enough strength developed so the books could be shipped. This delay in shipping was found to be completely unsatisfactory for most of the industry. The second generation PUR was developed in 1994 that allowed inline trimming and sufficient strength within four hours of binding, if enough moisture was present in the paper and the relative humidity of the binding area was high enough. The third generation PUR was developed in 1997. This generation’s page pull development was achieved within an hour of production and only required the moisture of the paper to achieve final cure. However, since the green strength was very high at an early time, especially in humid areas, it was found that the PUR was becoming very heavy in the glue pot. Finally, the fourth generation of PUR was developed. This was a lower viscosity version of the third generation and maintained the high green strength, but extended the pot life. This generation has replaced most of the third and second generation PUR, and is especially successful in the new extrusion systems and continues to be used in many systems today The future of PUR PUR began its usefulness in binding highly coated and cross-grained paper and this market will continue to be the highest user. More and more printers and publishers are aware of the benefits of PUR and this in turn is driving the demand. Another emerging market for PUR usage is that of photo albums. These books typically have very high quality paper stock and the purchasers require durability, flexibility, and strength only obtained by using PUR. The next large increase for PUR will be in the hard cover binding area. Because of the cost advantage of PUR binding over Smythe sewing, and the ability of the fourth generation of PUR to be rounded in line, many hard cover book manufacturers have been investigating PUR. Another critical application is that of soft cover textbooks in countries that have hot summers. In order to prevent the books from falling apart, the publishers take the precaution of thread sewing or side stitching the book blocks, prior to pasting on a perfect binder. This bottleneck can be removed with the introduction off PUR. Chuck Cline is a chemistry graduate who worked with the erstwhile National Adhesives for 30 years. He was part of the field trials of most of the 'path breaking inventions' in the adhesives industry including COOLBIND, ULTRACASE and PUR, in the North America. In 2001, he founded 'Binding Solutions LLC', an independent consulting firm. In most cases, the design of the book cover is a designer/ artist’s job. The publisher takes plenty of effort in the design of the book cover, which improves the salability, and shelf appeal of the book. The illustrations, photographs and designs on the cover are alloted a lot of importance; a huge number of hours are spent on discussing and designing the cover. All these efforts can come to a naught, if the same attention is missing in selection of the material for the cover. Many of the publishers are aware of the important points to be considered while selecting the cover material/paper. However, some will give undue importance to aesthetics while ignoring the need to crease/score the covers. And finally there are others who will opt for cost over grain direction. 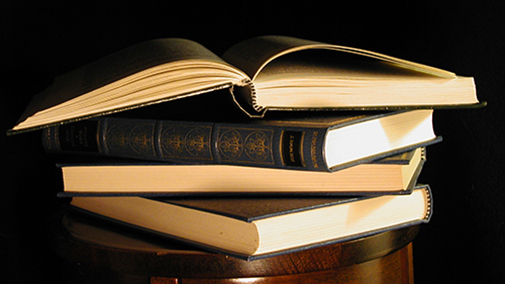 Let us discuss the considerations for choosing the “right cover” for a perfect binding job. Generally, the covers are thick, printed, embossed, laminated papers or boards. While selecting the cover materials, the following properties are to be considered : Thickness & Size of Stock: Using a thick board to bind a thin book block is a strict "No No". The cover weight (gsm) is directly proportional to the book thickness. Please consider the guidelines in the table below for selecting cover stock. The spine length of covers should be foot plus 3mm and head plus 2mm, meaning that an additional 5mm longer that the book block. Book block thickness (in mm) Cover thickness (in gsm)* Up to 5 mm 150 - 180 6-12 mm 200 - 230 13 to 16 mm 250 - 270 *There are other factors like stiffness that need consideration while selecting the cover weight. Grain Direction: The grain direction of the cover should be parallel to the book spine. This is absolutely necessary for a ‘well bound’ book Suitability for Creasing / Scoring: A lot of stress is put on the cover board when it is scored. The two centre scores are necessary for achieving a square spine. The outer creases/scores are known as ornamental or opening creases and they power the opening of the covers. The scoring/ creasing lines, achieved through discs on the perfect binder, should not break the cover surface. Conversely, the cover should not be too thick for the scoring discs to create any impact. In cases, where the ornamental scores are not deep enough, the load of opening will shift to the second and third page and this can break the joint. Splitting strengths: Splitting is a case where the outer layer of the cover comes off the next layer. When splitting occurs on the spine area or at the trimmed edges, it could have disastrous results. Cover materials are fabricated through different methods like couching (pronounced as ‘cooching’) or gluing of several thick layers. Couching is a process of attaching two or more paper webs into one layer, when they are moist, during the paper manufacturing. There is no glue used in this case. Hence couched type paper will have better split resistance when subject to moisture. Also, a high splitting strength will reduce the possibility of wrinkles on the book spine. It is ideal to make a few dummies with the available cover material and compare the results. Inside surface properties: The surface of the inside cover is the one that comes in contact with the glue. There should not be any lamination or lacquer at the spine and side glue areas. Glossy cover should be tested for compatibility with the hot melt adhesive used. 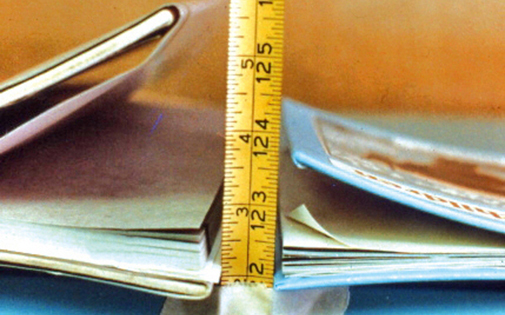 Stiffness and trim strength: Extremely stiff covers will not travel well on a perfect binder. The same is true for very thin and highly flexible covers. In certain cover material, the coating, ink, lamination etc peel off at the edges during trimming. This means the paper layer will start to split. This is due to a low trim strength of the cover material. There are few more points to be considered while selecting a cover, but the six points (listed above) are the critical ones. I've always believed that print buyers are aware of these criteria and take care of the same while suggesting the cover material. However if they do not, it is the responsibility of the book printer to bring these facets to their notice. If the print buyer still insists on the “wrong choice of cover” for whatever reason, then the job should be accepted with the risk factored in. Additional care will be needed for setting the machine, in-process and final inspection. This will mean more machine and man-hours as well as increased allowance for wastage. A costly affair, right? Let us disregard the old adage about not judging a book by the cover! Why do we need to adjust the back plate/ lip of buckle plate? The back plate has an adjustment to make sure the leading edge of the sheet enters the fold/buckle plate without "ducking" the mouth of the plate. Normally, for thin papers, the back lip is brought inward toward the fold rollers. It assists easy entry of sheet in to the fold plate. This setting, however will not work with heavy weight paper. Here the sheet will enter the plate but the exiting is restricted - as the lip is too far down into the fold rollers. This will cause paper jam, bad slitting/cutting, crooked perforating with most of your accessories. The hexagon adjustment (picture A) is for moving the back lip either in or out. Towards or away from the rollers (picture C). This adjustment deflects/catches the sheet to make sure it enters into the fold plate and doesn’t “duck” the plate. Normally this adjustment is used if the leading edge of the sheet has a bad up or down curl or the paper is extremely thin, 25lb - 40lb. This also depends on the plate being used, up #1 or down #2. Picture Bshows the + and - on the side of the fold plate. The BLACK or RED mark is for reference on the back lip position. The O mark on the scale is the central position. Counter clockwise takes the lip in toward the + sign and clockwise takes it out toward the - sign. When do I adjust the gap between the buckle plates? We will need to make this adjustment to go well with the stability of the paper (This varies with different paper thickness). Older type of folding machines never had this adjustment. What happens to the sheet when it enters the plate and hits the sheet stop? In a fraction of a second the sheet buckles (hence the name buckle folder), corrugates and many ripples are forced along the sheet from side to side. Now if the gap between the buckle plates is more, then these ripples will lead to variations in fold. So what is the right gap? : The gap should be not small so as to hinder the entry of the sheet into buckles; but just enough to keep the buckling problem to a minimum. You do not have to make this adjustment on every set up! If you are getting variation then this will be another area to look at. Why have I got plastic and steel marbles for my side guide? This one is quite simple. Either for HEAVY or LIGHT stock. With the heavier paper you must have control of the sheet to make sure it enters into the side guide and stays there until it gets to the first roller. If the weight within the side guide marble rail is too light, then the paper will not register. Having said that, there are many other variables like grain direction, requirement of speed etc that will decide the flow of sheets through the alignment table into the buckles. Hence some trial and error is involved here. If the press room have some set up sheets of the job then test your set up with this. This way you are not taking good sheets from the actual run. When do I skew the side guide and why do I need to? Many a times you may get sheets with the print-area not aligned to the paper. This is mostly due to cross cut papers - either bought cheap 'stock lot' or cut incorrectly. If the sheet is folding "out of square" constantly then this is the first area for you to check. Fold one sheet and check it straight from the first fold. Lay it on a flat surface and palm the sheet until all the air is out and sheet is as flat as possible. Now check the leading edge side guide corner to see if the sheet is folded edge to edge! The way to compensate this is: a slight adjustment on the side guide. You may have to combine this with your fold plate's skew adjustment. Try your side guide first; if it's not giving the desired result, then combine it with your fold plate. The corner to corner registration is checked usually in such cases where you suspect the paper to be cross-cut. Otherwise registration to be checked with folding marks. Look forward to answering real time issues in folding, faced by WT readers. I will try my best to answer these. Dave Trutzenbach is the CEO of www.partsforfolders.com, an online site which is a hub for ordering folding machine parts. He has 52 years experience in the industry and has worked as operator of folders, managed bookbinding units, besides imparting tips about bookbinding before his retirement from MBO. During the manufacture of paper, the paper fibre orient in the direction of flow of pulp and this is known as the grain direction or machine direction. As you know, paper is manufactured in the form of large reels. The sheets are then cut out of these reels. What is "grain direction" of paper? Long grain and short grain sheets cut from reel During the manufacture of paper, the paper fibre orient in the direction of flow of pulp and this is known as the grain direction or machine direction. As you know, paper is manufactured in the form of large reels. The sheets are then cut out of these reels. Depending on whether the longer or shorter side of the sheet is in the grain direction, the sheet is called LG (Long Grain) or SG (Short Grain) What is the significance of grain direction in printing & binding? Paper expands across / against the grains. While printing, this can cause problems in colour registration. It is possible to compensate for this, in the circumferential direction; but not laterally. This would mean that the grain direction should be parallel to the printing cylinders. In other words, for multi colour printing, long grain is preferred. In binding, the grain direction should be parallel to the book spine. That means the final fold should be in line with the grain direction. In such a case, the book will open more easily and lay flat. Books, adhesive bound with wrong grain direction (perpendicular to the spine) have a better chance of falling apart. Let us elaborate this a bit more: Paper is anisotropic in nature and has different stiffness along length and width. It is stiffer along the grain direction; this explains why a book with grain perpendicular to spine behaves like ‘mouse trap’, shutting with a clap-sound when its opened and left. Even in thread-sewn books, the signatures of the open book tend to stand up and refuse to lay flat. The same holds true for covers as they crease and fold better along the grain direction. In order that the grain direction requirements of both printing and binding are met, the imposition of the pages will need to be planned properly. How does one know the grain direction of the paper he or she is planning to print on? Paper supplies: In most cases the supplied sheets mention the type of grain – whether LG or SG. In some cases, the direction is marked by underlining the side (28'' x 40'' indicates long grain and 28'' x 40'' is short grain ) Droop test: A piece of paper is placed on the edge of a table so that it overhangs by six inches. The angle of droop is noted and the same paper is turned 90 degrees and extended by the same overhang again. The orientation that shows the greatest droop has the grain aligned with the table edge. Droop test It is important for the spine to be stiff, while the pages are flexible. The only way is to have the grain direction along the spine. Moisture test: If moisture is applied to one side of a sheet of paper, it immediately starts to curl in one direction. The expansion is on the cross-grain edge, the curl indicating the paper grain direction. Moisture test Folding test: When folding a small sheet of paper you will notice that it folds more easily and smoothly when the fold is parallel to the grain. If folded against the grain, the small fibre particles break and make an unsatisfactory fold. 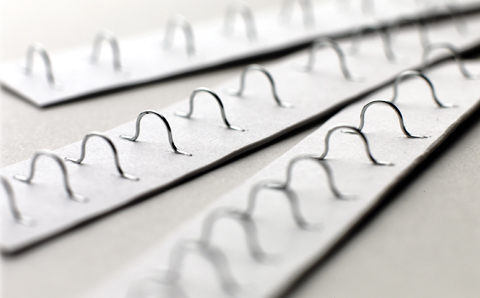 Bending test: Thicker papers are best tested by bending them in both directions. One direction offers considerably more resistance than the other. Parallel to the grain direction the resistance is far less than against the grain. Tearing test: A sheet is torn in longitudinal and latitudinal directions. The tear pattern will be straight when parallel to the grain and jagged across the grain. I think we’re all used to having a budget for every project, but in a tough economy, many of us are operating on shoestring budgets—budgets that feel confining, and can stifle creativity. And even with really tight budgets, it is generally expected that the end product will still be of the highest quality and creatively presented—so how can you break out of the box without breaking the bank? I think we’re all used to having a budget for every project, but in a tough economy, many of us are operating on shoestring budgets—budgets that feel confining, and can stifle creativity. And even with really tight budgets, it is generally expected that the end product will still be of the highest quality and creatively presented—so how can you break out of the box without breaking the bank? The following is a list of tricks that will help your folded project look good on the cheap. Tip 1: Pick anything but a trifold I love the trifold—it’s the worker-bee of the industry, but if you want to get some attention, there are a handful of other folding styles that are considered “production” folds that are easy to set up on the folding machine and fast-running. Double parallel folds, roll folds, accordions, and even gate folds can be affordable if your printer has a gate fold attachment. Do a little research before settling for the everyday trifold. Tip 2: Get flexible with format As a habit, you may be making all of your brochures to the same folded size. Try something different! Before choosing a new format, be sure you understand the end application of your piece – does it have to fit into an envelope, a display, a pocket folder? Is it a direct mail piece? All of these questions will determine the right sizes and formats, but if you have some flexibility, stop working on autopilot. Ask your printer for guidance regarding what sizes and formats will print efficiently. You can also change direction and create a piece that is horizontal in format for a fun twist. A switch from vertical to horizontal format can totally change the look and feel of a folded piece. Tip 3: Give it a trim If you’re really sold on a trifold, add some pizzazz by trimming the cover short. The slim vertical strip of area that will be revealed by the short trim can have bright colour, or large vertical text, or a peek of imagery—and it’s just a simple trim. Cheap! How about an angled trim on a corner? That’s just a guillotine trim, not a die, so again, not much cost to you, but eye-catching and different. A simple short trim on a cover can turn a standard tri-fold in to something special. Tip 4: Cover it with ink Heavy ink coverage, done well, looks luxurious. It also potentially gives you the opportunity to downgrade the paper a bit and save some money. If you’re covering the entire brochure with ink, you don’t need a premium sheet with the highest brightness. You may be able to use your printer’s house sheet or other economical choice for a nice savings. One caveat—don’t get too aggressive—downgrade too much and your heavy ink coverage may not look so good on your cheap sheet. Heavy ink coverage almost always requires scoring, as well. Ask your printer for guidance. Tip 5: Fold or assemble it yourself OK, this tip is not for everyone, but if you want to avoid costly hand work or machine time in the bindery, and you have a small print quantity and a score so you can see where the folds fall, then you might be able to coax a few friends (or interns) to join you for a folding party. Other possible cost-saving hand tasks include assembling and inserting into envelopes, and wafer sealing. Maybe you can splurge on a die and have the sheets delivered flat for hand-folding. Make sure you have a lot of friends or employees to help. Tip 6: Join the gang If you really want to save, plan ahead. Figure out what you need to produce within a certain time period and gang it together in one press run. Design your holiday card now so that it’s ready at a moment’s notice to jump on a press sheet with another project. Do the same for your postcards, sell sheets, and other collateral and tell your printer you’re looking for opportunities to gang projects together. Tip 7: Ask about inline finishing A lot of printers are investing in in-line finishing equipment, which is making a lot of processes that traditionally have been performed off line, a part of one continuous process. You may be avoiding scoring, perforating, cutting, and gluing because you think it’s unaffordable, when it may actually be within your budget if performed in-line. Ask your printers if they’ve adopted any in-line processes. Tip 8: Don’t be shy This tip is the most important of all. Establish a nice working relationship with your print vendors and let them know that you are looking for ways to cut cost while upholding quality. Your printer is a great partner and resource—get them involved and ask them for advice, rather than making assumptions and cutting your options short without knowing for sure what is within reach. Trish Witkowski is Chief Folding Fanatic at www.foldfactory.com. Visit foldfactory for folding ideas, videos, resources, software tools and more. Join the community and start receiving the “60-Second Super-cool FOLD of the WEEK” e-video. You can contact Trish at trish@foldfactory.com. Board warpage Board warping problems, which most of the time occur in the winter, arrive at our book-testing laboratory from all over the world. The purpose of this article is to furnish you with some basic information on why such problems do occur. Mirror, mirror on the wall, who has the biggest warp of them all? A Primer on paper and paper boards When paper or paperboards are made, approx. 70 to 80 percent of the fibres float in the machine direction (MD). Paper fibres are hygroscopic. They pick up water when the moisture is high, they lose water when the percentage of moisture is low. Fibre expansion Paper fibres expand 4 to 5 times more in their width than they do in their length. Therefore, one must make sure that all cover-materials, boards, endpapers have the grain parallel to the binding edge. How paper and paperboards do react to moisture in an ever changing environment, is shown in the adjacent figure: Are there guarantees against paperboard warping? What are the basics of a paperboard? All paperboard manufacturers rely on paper-waste which, being a re-cycled product, is hard to control for consistency. Some use newsprint, others magazine papers etc. For example, a high amount of corrugated box content attracts more moisture, whereas groundwood or thermo-mechanical furnish, i.e. soft fibres, respond to less moisture. In addition, papers and boards with short fibres tend to saturate more rapidly and therefore expand and contract more quickly. Long fibred stocks are more stable in this respect and in certain instances, it is possible to exercise considerable control, a factor every mill tries to achieve in a best possible manner. Unfortunately, with today's trends toward recycling, we must cope with shorter fibres. This is also true for the printed papers used as covering materials. There are many different techniques being used to manufacture paper boards. Most important for them is to manufacture a paperboard product that is dimensionally stable. Some structures promise to offer more stability than others. That maybe true, but despite those claims made by some paperboard manufacturers, this bookbinding expert has experienced and analyzed warping problems on all brands and qualities of paper boards made. I have never come across a single warping incident where, at least in my opinion, where the paper boards were at fault. How moisture or an adhesive application affects papers and boards The most fundamental relationship in a print-finishing process does lie in the reaction of papers, boards etc. on each other in the presence of water-based adhesives, that is animal or protein glues, cold-emulsion PVA's, starches etc. To understand these effects fully, it is essential to have a good understanding of the construction of the fibrous materials and how they react to moisture during the drying and manufacturing processes. These factors greatly influence the performances of the finished products in the ever changing climatic environments. Example, books made in Asia during the summer in high humidity, then transported to a bookstore in Minnesota, where, during the winter, the air is very dry. Paper and paperboards are all based on cellulose fibres, which have a tubular shape. Given the opportunity, these will absorb water by capillary action and as a result, the individual fibres will considerably increase in their diameter, but gain only a fraction in the fibres lying in a more or less parallel direction. As each of the fibres expands in its diameter, expansion will occur. The expansion is across the machine direction. Now, if a binder applies a water-based adhesive onto one side of a paper-board, this will cause the fibres on the surface to expand rapidly. All this does happen, because there is a time lapse before the moisture has penetrated evenly through the board. Therefore, and that is important, expansion will initially be uneven and a curl will be induced into the paperboard. If the same amount of moisture is applied to the other side, the board will flatten out. The following schematics are self-explanatory: The interplay between moisture and paperboards Now, try to solve a problem sent to our laboratory. A manufacturer produced puzzle boards. They mounted a color printed sheet only onto one side of the board and then they did wonder why the boards warped! Now, as a consultant and the necessary knowledge of the forces at work, you can give them the following advice: “In order to make a board to lie flat, one must mount identical papers onto both sides, same grain direction, same amount of adhesive!”. Timing is critical as well. As you can see for yourself, it is a relative simple solution! Just try to understand Mother nature at work. “People who love only once in their lives are shallow people. What they call their loyalty, and their fidelity, I call either the lethargy of custom or their lack of imagination.” - Oscar Wilde I know of this small and busy eating place in Mumbai which serves only one item- South Indian rice plate in two forms: limited and unlimited. The owner is a stiff-faced elderly gentleman who dispassionately issues tokens when you reach the cash-counter, after which there is a long wait to get a seat. Any effort at asking for a preferential entry in seating is always replied by a dispassionate “wait karna hai to karo varna paise vaapis lo.” (Wait if you need to; else please take back your cash) in an Udupi accent. When he is not shooing away requests, he is bluntly reminding people seated inside not to idle time on the seats after the meal. When I was initially subjected to this “rude” attitude years ago, I was sure that such joints will have no loyalty what so ever. With a few years gone by, I am “a loyalist” of this place and have found that this is one of the few places that seem to have a strong and growing set of “loyal” patrons. Why does this happen ? Good food, consistent service, no-nonsense pricing – I have still not found the real answer, but this small place has made me question my own understanding of “customer loyalty”. How often do we exhibit loyalty-demonstrating behaviour as customers? “I want only Mustaqbhai to cut my hair at the saloon”, “Sirf dadu's ki cutting-chai mein dum hai”, “Only Maria understands the henna requirement of my hair”, “Only Thums-up for my rum”. I have heard these and many more comments and they often make me think that loyalty is a state/goal worth chasing in our business. At my workplace, I often meet consultant gurus who want to vend customised loyalty programs. Having shifted to the retail business, I have come to realize (maybe like the stern Uduipi restaurant owner) that the only truth about loyalty is that “there is NO such thing as loyalty”, atleast in the conventional way. Let's try to debate five “traps” of the conventional understanding of loyalty . These “traps” are also experienced in the many existing loyalty programs. More often, these “traps” are shaped in form of “rules” that turn into major pitfalls. Guess what! I pawned my gold ornaments and shopped all day; I have become eligible for the Gold Card. 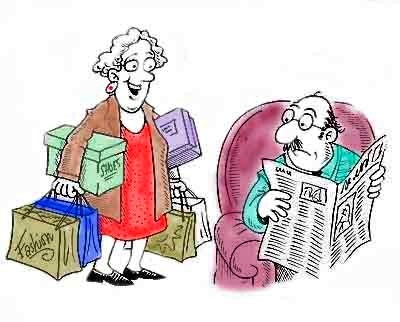 Trap 1: Loyalty is primarily about setting “relationship rules” Many of us are exposed to special schemes for “loyal customers” which reward people more on 'buying more'. The scheme promises special benefits when you “spend more and become the golden-card member”. Closer at workplace I have seen teams get heady with the success of such schemes. I discovered the pitfall in this rule when a simple housewife told my team in an interaction that “I hate this because you always make me spend more than my budget. It disturbs my home budget balance.” In this case , our enthusiasm of giving her special discounts was putting loyalty in the reverse gear. Trap 2: Loyalty pertains to conditional relationships and is always “reciprocated” Crowded cash tills in hypermarkets of India have often been a discouraging factor to many customers. This crowd is most accentuated on Saturdays and Sundays. Faced by this challenge, our retail teams would try “happy hours” for customers. Those who shopped before 2 pm on Saturdays and Sundays would be rewarded. Not only did this scheme fail to work with customers, it created potential “dissonance” among customers who would shop with their spouse and children only after 2 pm. We still battle the crowded weekends at our stores but a significant opportunity got created when the visionary promoter of our organisation suggested “why don't we create a weekend environment in the middle of the week”. This resulted in a strong “bazaar” getting created every Wednesday. Homemakers who would be busy over weekends, working couples and singletons now throng our stores on Wednesdays leaving space for many more families to shop on weekends with us. This has led to good business gains and importantly, more happy customers who come “again and again”- some on Wednesdays and others on Sundays. Would you have called this as a “loyalty-creation” thought? Conventionally-No. Trap 3: Loyalty should primarily aim at getting customers over and over again As I type this para, I can see my son counting the stamps on his doughnut loyalty card. The local doughnut store has designed a card that will give me a stamp on a special card every time we buy “six doughnuts”!. We should get 12 such stamps within 3 months. At this rate I will be asking my children to swap parathas for doughnuts and of course make them believe in the maxim “have a doughnut a day and hope to keep diabetes away”. This brings me to the third and a significant trap of conventional loyalty schemes. The best illustration of the trap is the example of Tukaram Patil. He holds the record of the biggest (and longest) bill in our hypermarkets. Patil saab is from Ichalkaranji, Maharashtra and visits the hypermarket in Sangli immediately after the harvest, full family perched on his bullock-cart. This is his only visit for the year but the purchases humbled many of our managers who always believed in selectively rewarding frequent shoppers. How do these schemes recognise the many Tukaram Patils of the country who get all their shopping done in one visit. In the headline of the article, I have taken the liberty of quoting Oscar Wilde out-of-context. His controversial statement on love and wedlock norms brings me to the fourth trap which we also see in many of the wedlocks around us , the trap of possessiveness Trap 4: Loyalty is to dominate, own and possess the customer- Exclusively In your last visit to the cosmetic counters at the departmental store, have you been hounded by the smart and aggressive counter sales persons. They readily dish-out fragrance Brands A and B and provide lip-liner demos for Brands C and D. It appears that they are perennially in the rat-race to edge out all brands other than theirs. The aggression and exclusive sales-pitch often ends up appealing only to the people who have come prepared to buy cosmetics be it brand A or brand B. All these sales boys and girls believe that customers come specifically to buy their brands. That's true, but what's often overlooked by all of them is that such customers are a minority comprising not more than 5%. The majority 95% are non-users who could be seeking some 'beauty' product, some starting advice. But this need is overlooked by the 'Buy ONLY me' attitude of the three brands. If all three brands had made an inclusive sales-pitch 'a cosmetic' first (and a Brand later), to this customer group, many more customers would have tried beauty products. 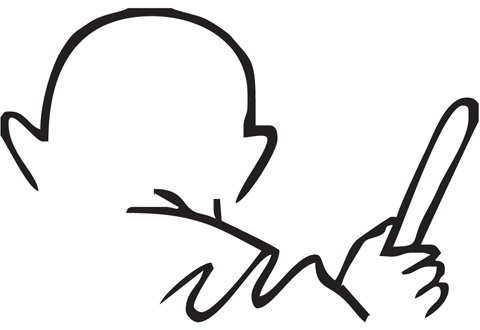 The mantra therefore could be “inclusive growth”. At first this may appear to diminish loyalty but it is strongly felt that people who follow this mantra will eventually have a larger share-of-mind. Trap 5: Loyalty is about keeping scores Most of the loyalty schemes “keep scores”. They keep building an artificial sense of comfort that some value is being continuously piled up by our “loyal” purchases or patronage. Often there is an artificial scarcity being created of lapsing unused points, missing freebies if we don't act early, "never before discounts for loyal customer”, the list can go on. However this contrasts most of the loyal relationships we enjoy in the real world. Imagine a mother keeping scores for all the nights she stayed up for her kid; friends keeping a tally of all the times they kept company in bad times; a teacher keeping a tally of the good grades he earned for the top-ranking student. If there is no score-keeping in the real world, why should any customer relationship have a tally. Scores “compare”, scores add the mortality into relationships. The obvious downside of a tally-system is that the moment another score-keeper enters the fray with more efficiency and efficacy, the customer switch is imminent. I believe its time to move beyond a score-keeping mechanism in any relationship that recognises and compliments loyalty. The straight norms to avoid the traps Make the consumer devise the rules of engagement, break all conditions, compliment the customer irrespective of the “buy” frequency remaining low/high, have an inclusive relationship and make score-keeping redundant. I would therefore strongly advocate building an intimate understanding of the customers' life-cycle and mirror this in every engagement, in every solution offered to the consumer. I am reminded of a bindery machine producer, headquartered in Kerala, who advocated cost-efficient manual tips of handling paper wastage to one of his small customers. After many years, when the customer bagged a sizeable order, the machine manufacturer coached the customer on automation and assessing demand through forecasting model. In this case, the relationship had blossomed into a close understanding of the evolution of the customer and this relationship is likely to stand all tests of time. Let me conclude this note with another food example – this time from the crowded markets of Thiruvananthapuram. There is a small food-shack serving 'limited' non-veg meals. Here the owner personally supervises the serving of meals to his customers who sit on two narrow benches. If you are a loyal customer, it is usual to hear things like “since when have you started eating 1 chapati less” or “today is Tuesday, I know you will opt for vegetables over chicken”. Many new customers are often taken aback by a strong rebuke from the owner “please don't come here if you intend to eat so little, there are other places which will be much cheaper for your small needs”. The owner of this joint reminds me of the simplest yet impactful maxim of loyalty- “You've got to give loyalty down, if you want loyalty up” Sadashiv Nayak is one of the most sought after name in food retailng in India today. Mr Nayak has brought in an innovative approach to food & grocery retailing and is recognized for his role in the rapid expansion of Big Bazaar. Paul Parisi to Book Binders - A basic lesson on how to communicate with your customers In the print industry, we have six common pitfalls for job rejections. These are: Incorrect instructions to the printer - 39% Colour mismatch - 30% Improper converting - 20% Breakdown in customer contact - 5% Layout issues - 4% Fonts - 2% Incorrect instructions have wrecked many books. A few examples of errors made while planning: Books that are to be perfect bound, stripped for saddle stitching Thread sewn books provided with more gutter space for grind-off (back milling) Trim margins that are either too low or too high. Bookbinders are often left with little or no maneuverability when a print job arrives on our shop floor. In the race to do additional jobs, one might be tempted to accept the job with its entire shortcomings – only to lose the client once the binding fails. My advice is: caution the customer; provide him with a list of “to do” things. One needs to make an extra effort in making the client understand that ‘there is huge saving for him / her’ in a job, well planned. Given below are a series of instructions that a bookbinder should communicate to the print buyer or planner. Provide the publisher or the printer various folding impositions that your machines support. Ask him/her to call you “when in doubt”. Insist on using stepped/numbered spine markers to assist in proper signature collation. Trim allowance for the signatures – they should provide at least 3mm on the head, tail and fore-edge. The untrimmed covers of thread sewn or perfect bound paperback books should be 3mm longer at the head and tail. In addition to this, if the end papers are to be glued solid to the covers, then insist on the cover being at least 3mm wider (binding edge to fore-edge) than the untrimmed signatures. Head margins for all pages must be the same to ensure proper registration. This includes inserts that may be trimmed for tipping or wrapping as well as signatures and covers. Printed endpaper should bleed to the untrimmed signature size. All signatures for Smyth sewn books must be the same size. Uneven signature lengths will require pre-trimming and you must charge for it. There should be grind off allowance provided for perfect bound books. This is normally about 3 mm. There is absolutely no grind off allowance on Smyth/thread sewn books. Printed cover stock for hard bound books: Allow 15 mm turn-in on all four sides when printing cover stock for hard cover binding. This cover buffer enables the bindery to turn the cover stock over the board, onto the inside surface of the cover. Remember that the trim size of the book is smaller than the size of the cover. It is advisable for you to produce a binding dummy to ensure correct stripping once you’re supplied with materials and information. Suggest that the paper cover stock be film laminated for strength. We need to ensure that crop marks and colour bars are removed by trimming. The signature marks are hidden by folding and sewing. For this all marks should be left at least 3 mm (preferably more) outside the final trim area. 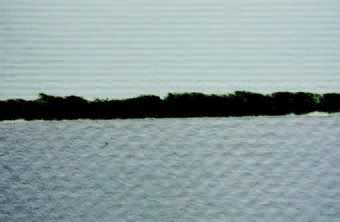 For cross-over, strip copy about 1.6mm short of grind‑off area (grind-off margin + 1.6mm). Cross-over should appear to meet at the spine. As the accuracy of folding required is very high, insist on folding at your bindery. 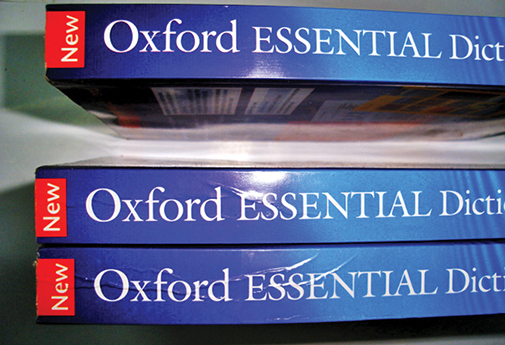 As for cross-over images, you cannot be responsible for alignment if you are not involved at the planning stage When printing books with bleeds that run into the binding margin, as with art or photography books, please leave 3 mm unprinted and unvarnished glue trap (blank, non printed area) in the gutter between signatures. Without the glue trap, you cannot guarantee that the adhesives will penetrate into the paper fibres. This will also prevent solvents from printing ink migrating into the glued area. If the job involves thread sewing and if the paper is not heavy, then you may have to insert an 8 page into another 8 page to make 16 page signatures for sewing. The planning has to bear this in mind. If the job has odd signatures, 2, 4 or 8 pages, then it will involve either tipping or wrapping. Never have them at the beginning or the end of the book. 2 page: Tip it to outside of back (rather than front) of any signature other than the last signature. 4 page: Wrap around any signature (in case of automatic thread sewing) or insert into a signature (in case of perfect binding). 8 page: Collate with other signatures but never place them at the end of the book as this will cause problems. You may be wondering: will my customer run off, if confronted with such a big list of “do this and don’t do that”? Perhaps some of them may scorn you; but try and reason about the benefits and the gains. Every process or step or instruction will result in Reduction in raw material consumption Lower wastage and A stronger, durable book. You might take more time in convincing the customer about the benefits of job planning, but in the end the customer will remain – happy and satisfied. Paul Parisi is president of Acme Bookbinding, the Massachusetts-based, oldest continuously operated book bindery in the world.